This is the cockpit version of the 53 POC (Performance Offshore Cruiser). 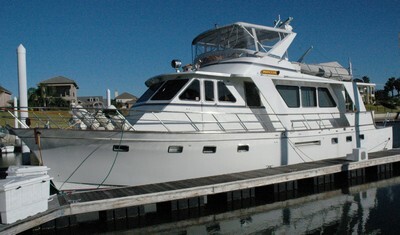 Its flush-deck design yields enormous interior volume with the owner's stateroom aft of the engine room. Guest cabins are forward of the engine room. A great layout for cruising.